Q: Hi my wife is considering filing Bankruptcy for credit cards about 60000.The Mortgage is under her name only my name is on the deed with hers.Can they take assets from the house.The house is worth double of what we owe. A: You will want to speak with an experienced bankruptcy attorney in New Jersey to determine whether you are eligible to file for bankruptcy and whether it would be prudent fro you to do so. All things being equal, 60,000 in credit card debt is a significant hurdle to overcome. You should schedule a consultation with an attorney in your state to determine what is the best course of action for you. 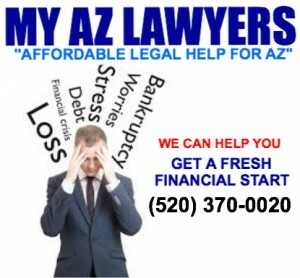 Luckily, the vast majority of bankruptcy attorneys provide free initial consultations to evaluate your case. Rob Curigliano, Tucson Chapter 7 and Chapter 13 Attorney.